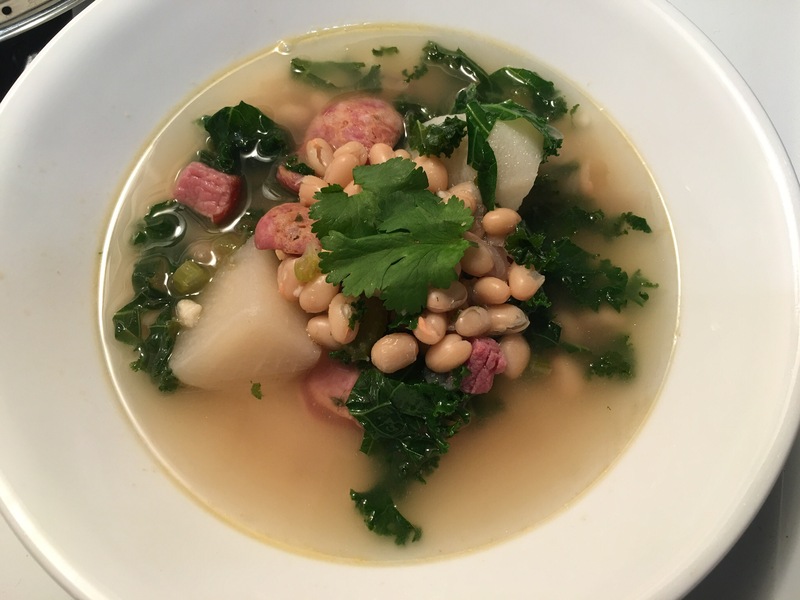 Caldo Gallego… A Spanish white bean soup with ham and kale – Hurried Home Chef! Trying something new! Once the Florida temp goes below 60, it’s finally time for soup! This is a request and I’m winging it with a basic recipe from the net. Start with onions, celery, turnips, garlic and half of a habanero. 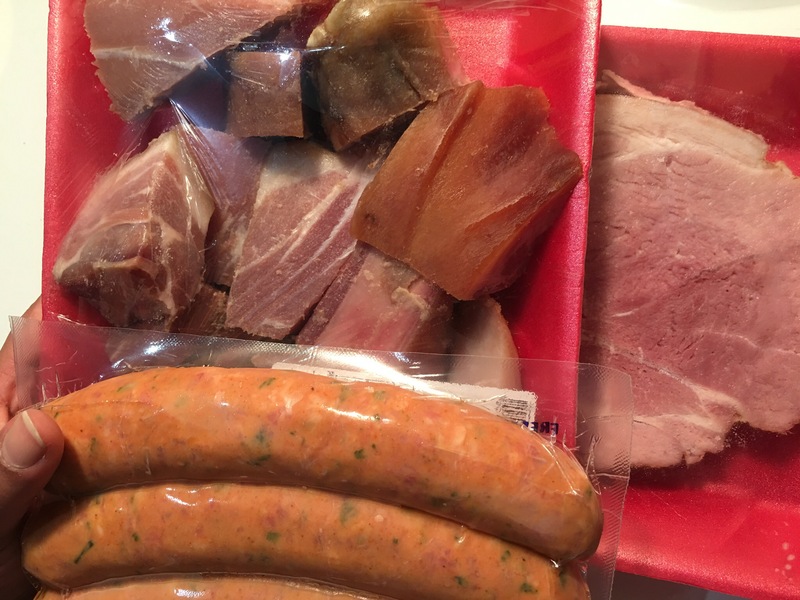 I went to a Latin store and got ham hocks, a piece of cooked ham about 1 inch in thickness, and some cooked chorizo. I cut the turnips into large chunks, you just want them to be equal. 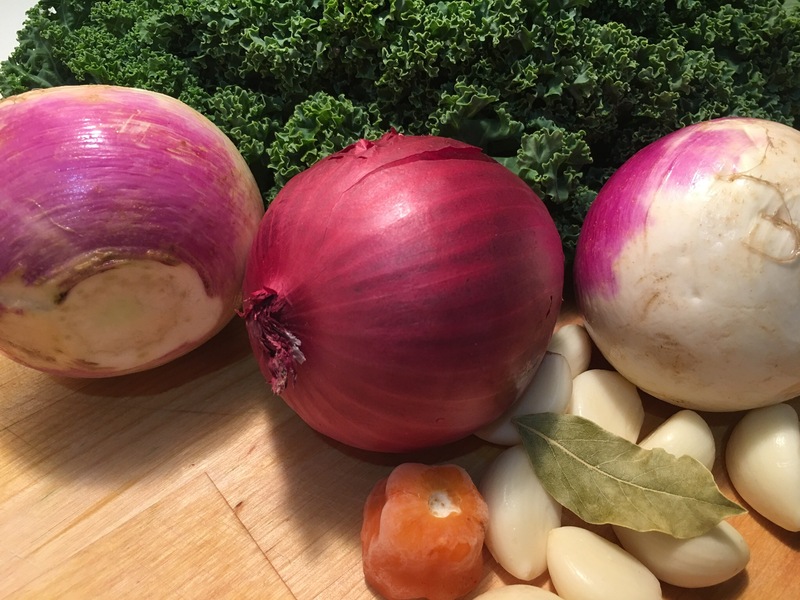 I always use red onions because they are pretty, but a yellow onion is also fine here. I used quite a bit of garlic too, if you’re not a fan, use half. 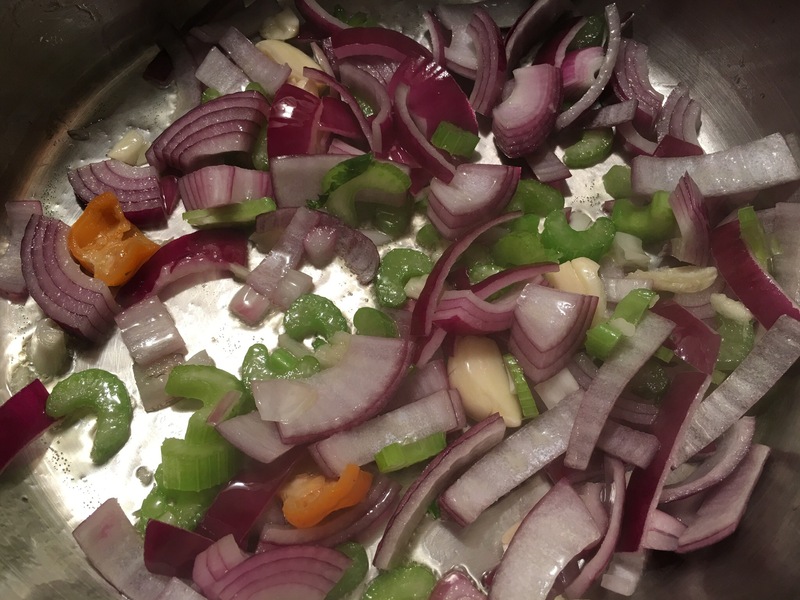 Start with a little EVOO, and sauté the onions, celery, pepper, and garlic. Avoid browning it, just sweat them a bit. I smashed the whole garlic with the back of my knife but you can chop if you want. Then you add water, which I didn’t measure, about 10 cups. Then add ham hock, bay leaf, turnips. Bring to a boil and then reduce to medium high heat to maintain a boil. Set your timer for 20 minutes. Then add the diced ham, diced chorizo and let it boil again for another 20 minutes or so. Once the turnips were fully cooked and the liquid has boiled down enough to your liking, taste it for salt, it should have enough because of the ham. Then add two cans of rinsed white beans, bring back to a boil and reduce to simmer. Add kale then allow it to simmer for another 10 minutes and turn off heat. Right before serving chop some fresh cilantro and garnish with it. Fresh cilantro (really makes a difference)! Cuban bread to eat with it, give this a try, it will go on my monthly food calendar! PS… if you’re a planner, take all of these ingredients minus the cilantro and beans and freeze them for the next time. I put them in separate bags within one large zip lock. 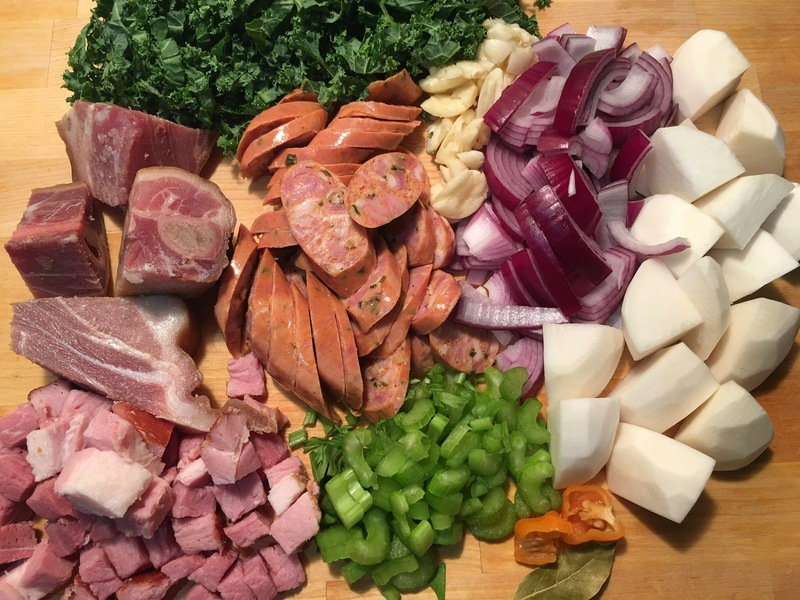 1- diced onion, celery, pepper, garlic 2- diced, peeled turnips 3-kale 4- the meats. Previous Post Friday night mash-up, creamy stuffed chicken with roasted sweet potatoes and cabbage.